InternFeel: Hello Ankit, pleasure to meet you. Please tell us more about yourself. 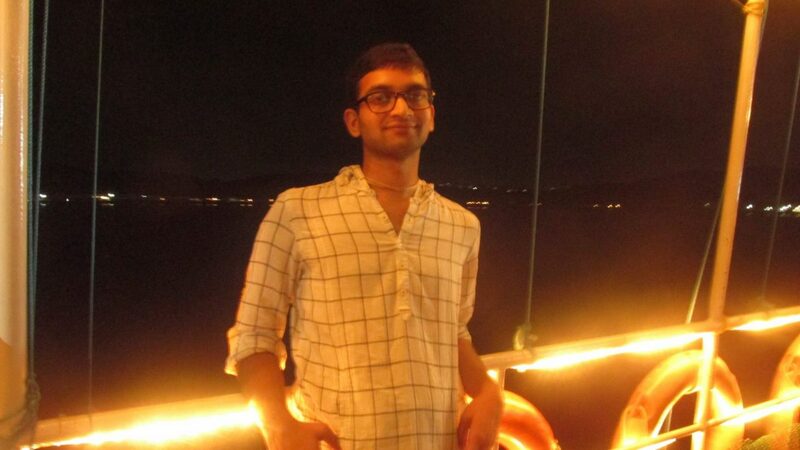 Ankit: In short I am interested in research, but more in practical type of things, I like to see something working. I don’t like to parties that much rather loud things. I like socialization and very friendly. In my free time, I like to read scriptures. And I keep on searching for better prospects for my future and keep introspecting what I really need to do or what I like to be. IF: Which internship you got the chance to take? What is it all about? Stipend and duration? Paid:- 10,000/- per month + accommodation. IF: How you came to know about the internship? Generally what was your way of being in touch with the media to get the information about the various internships? Ankit: Very much around 1600 students apply and only 15 are selected. But next year they will select 30. IF: What qualities of yours – educational / otherwise, you feel helped you in having an edge in the selection process? Ankit: My active participation in projects in 12th and 1st year (BAJA SAE, IBM). Also may be my UK trip (Regarding a project). They directly select on your CV basis and also they see that you have something (software or subject skills like LABview/COMSOL or say you write in your CV that you know basics of Heat transfer) that they can use in their projects. They need practical students you just need to show through your CV that you can work on things in practical as they need finished products at the end of the internship. Ankit: Approximately in Feb. And luckily that day I was at home so it was great.. IF: What all preparations you did (academic/otherwise) before joining and after the results? Ankit: Nothing (very rude way of saying) as I did not expect my selection because I applied it after its last date and it was not for Mechanical students but somehow I managed to fit in one of their project. And they don’t tell you on what project you will work on so you cannot really work on anything. What all I did was just went through the projects going at GERMI. Ankit: No, really. They give almost every information. Ankit: Just be selective instead of applying at each and every place and show that u are worth for them. IF: So Ankit, could you please highlight us with what work/research project you carried out during the internship period? Its application in the near future and your work in it? Solar Energy~>Store Compressed Air~>Pneumatic Motor~>DC Generator~>Electricity. Ankit: The best thing was that we were not treated like students. We were given all facilities that a scientist could get at place. Ankit: Food and accommodation no problem. Only problem was that being a semi-government research institute, get the funds out require a lot of paperwork. Ankit: Lot of paper work to get the products purchased. And my guide was bit busy so if he could give more time then it would have been fantastic. Ankit: Yes, a lot of. We had an educational visit to World only 1MW solar canal project. We had a friendly cricket match along with scientists. And other weekends we were given vehicle to go to nearby places. Ankit: My guide was indeed one of the best guides but with practically no time :P. We hardly met more than 3-4 times in full period of time. And hardly I got any help from the administration, rather I don’t know what help they could have offered. Ankit: If you are in 2nd year, Even if you miss the last date or the internship is not in ur field but you think you have a unique profile then do not hesitate to apply. Ankit: I will surely say that my family helped me a lot in application of different internship… and over and above how without the mercy of GOD I surely could not have got this internship as I applied it after the last date and it was not for mechanical engineers but yet I got selected. IF: How much difference this period of 8 weeks made in your intellectual capabilities and mindset. In broad terms what are your gains from this? Ankit: Nothing special to say. It’s same what one get out of internship.. exposure n etc.. IF: What advice you would like to give to your juniors, which can help them in getting internships in their future college life. What are your future plans after this internship and how much impact this internship will have on it? Ankit: Very good as it will definitely help students to know what exactly a particular internship has to offer. IF: So Ankit, we are at the end of the interview. From the entire team of InternFeel, we thank you for sharing your experiences with us, for everyone and we wish you best of luck for all your future endeavors.